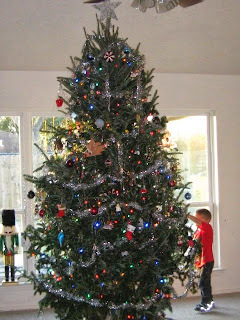 This year we have finally gotten around to buying our Christmas tree. We normally purchase our tree at the Houston Garden Center. Today they had a sale, all trees $35. SWEET! We found the biggest tree we could just for giggles. 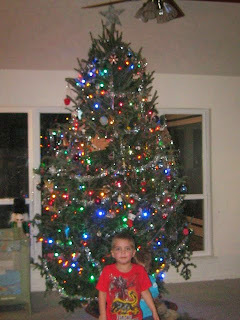 The tree we chose was priced at $170 but we did only pay $35. Why in the world wouldn’t we wait it out every year? 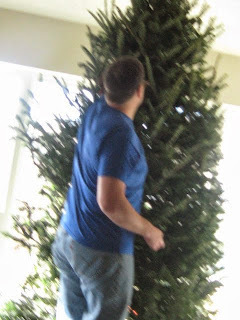 This is my hubs trying to get this giant tree in the house. 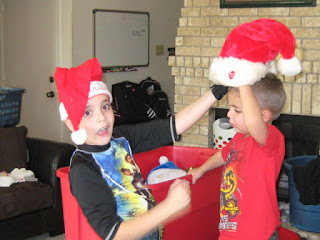 Our boys playing in the decorations. We had to cut the top to fit the star on. The kids are so happy! Our family is now in the holiday spirit. 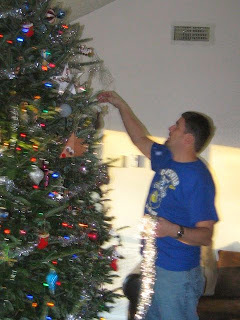 It just didn’t feel like Christmas without a tree in the house. The stockings are hung and it smells so good. Now that is how you have Christmas The Dave Ramsey Way! Find yourself a good deal and pay with cash. What about you? Find any good holiday deals? Beautiful tree….and a great deal on it too!!! Merry Christmas!